After a good 23 years, Wala Wala has ventured into opening its second outlet Hive by Wala Wala at Furama Riverfront Hotel, the biggest bar and restaurant in Singapore. The new venture consists of 4 concepts housed under one roof. It consists of a wine retail shop, bakery, cigar room, a restaurant and bar. The bar at Hive offers an extensive range of 35 different types of beers, ciders and unique range of whiskies. From the in house wine retail shop, customers can also choose to buy home or dine-in. 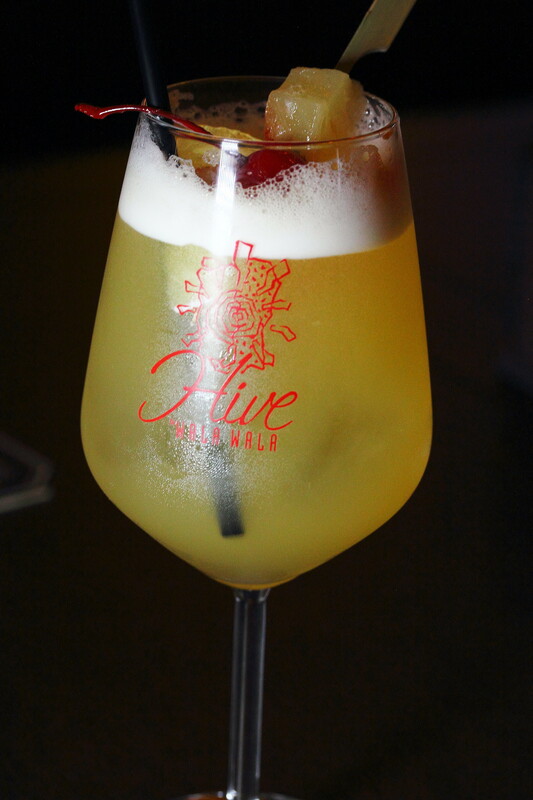 A steal at Hive will be there House Cocktail Bee Hive ($23), a refreshing and easy to drink cocktail. For every purchase of the cocktail, customer gets to bring the glass, Of course they will give you a new one. How can we have drinks and not bar bites right? 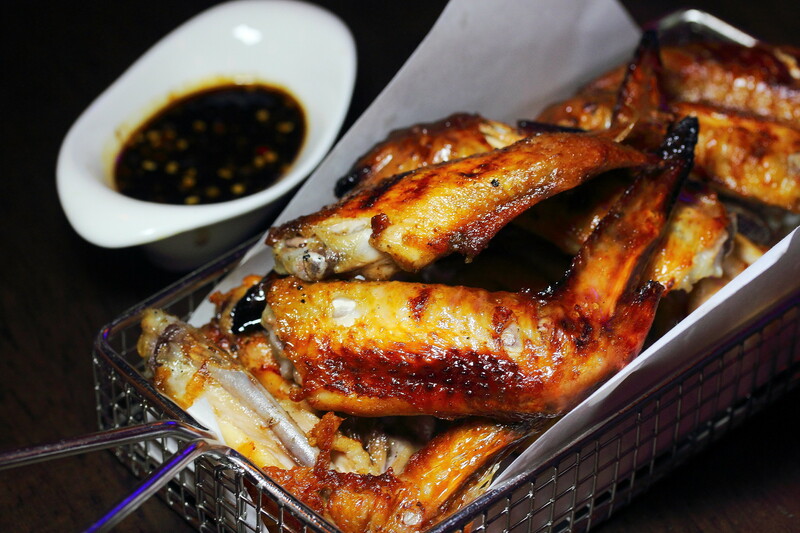 I would recommend the Hive Charcoal Barbequed Chicken Wings with Courvoisier XO Sauce ($15). The chicken wings are grilled to a nice charred on the exterior, yet tender and juicy inside. Hive also doubles up as a restaurant offering both Asian and Western menu. The Western menu will focus on salads, pasta and grilled meats. We had the Surfer's Salad ($12) from the western menu. 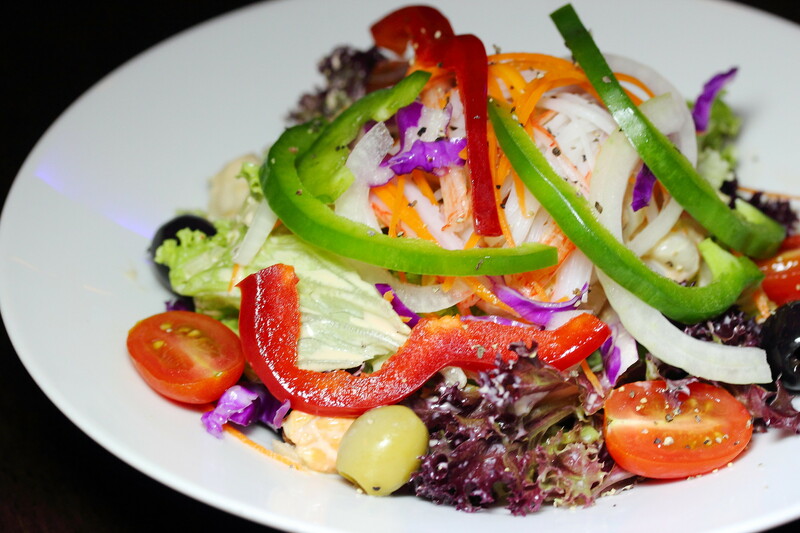 The salad comes with prawn, mussel, squid, crabstick, onion, pepper, garlic, olive and mixed greens. It is a light but yet flavourful salad hold together by the cocktail dressing. 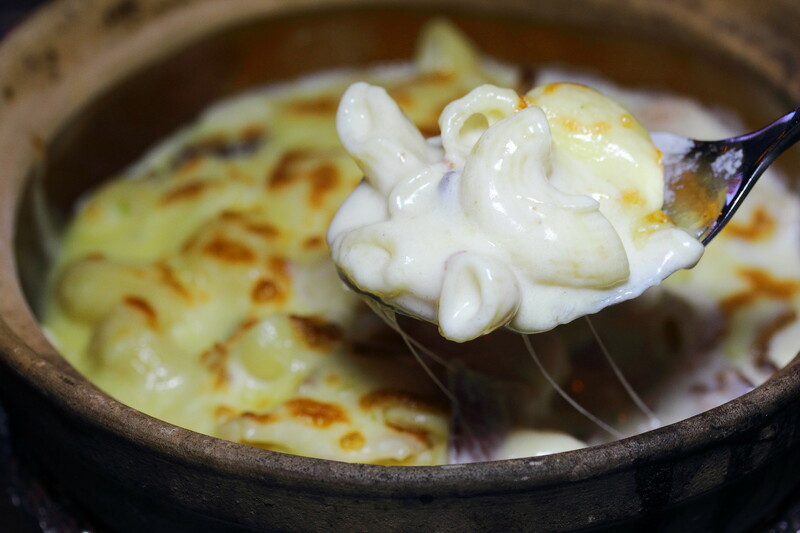 Mac & Cheese serves in claypot? This must be a first. The Claypot Mac & Cheese ($8) was creamy and cheesy. However I felt the flavour of the cheese was kind of light. It needed something that is more intense and rich. I find the Asian menu is more interesting compared to the Western menu. I mean who expects claypots to be served in a bar where you see more beer and wine bottles. 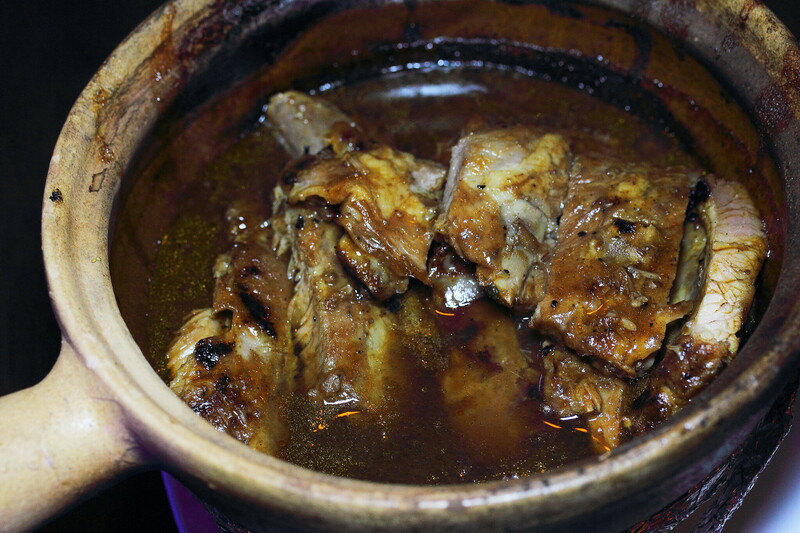 Upon serving the Chargrilled Honey Glazed Pork Ribs ($36), the staff will flambeed the pot of pork ribs with Marker's Mark Bourbon, lighting up the claypot into flames. The aroma of the whisky filled the air and infused into the sauce. However the real highlight is the succulent pork rib which fell off the bone with ease. Customer also has the option of rice or baguette to go with it. 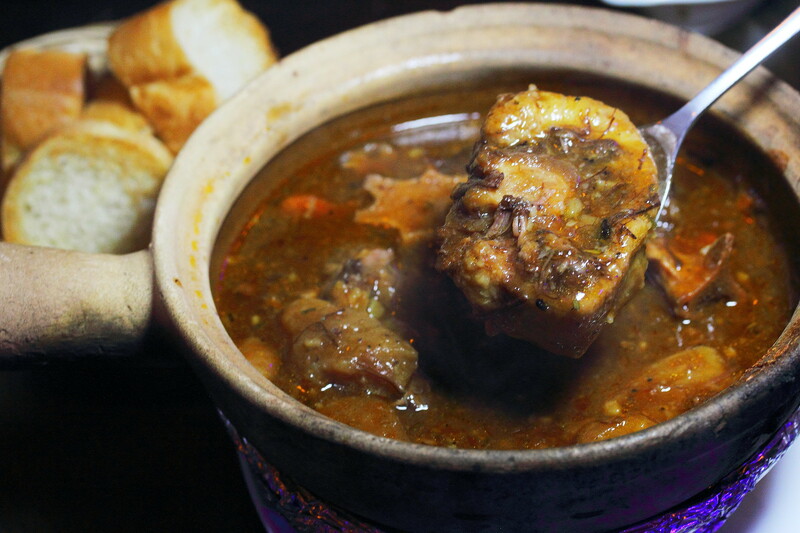 My favourite dish for the dinner is the Claypot Ox Tail ($12). The stew-like sauce absorbed all the essences of the ingredients. This is best savoured by dipping the baguette into the sauce to soak up the gravy. 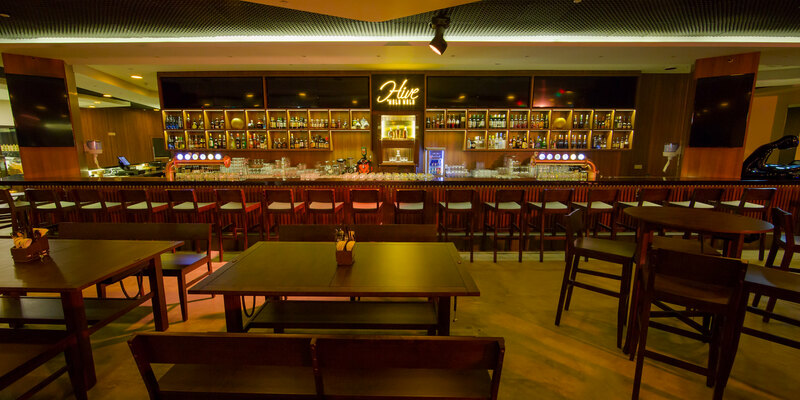 Being the biggest bar and restaurant in Singapore, Hive by Wala Wala aims to to be the place to go to for all music lovers, foodies and partygoers. Music aside, patrons can look forward to having their palettes teased by Hive's selection of western and local delights all day. For lunch, local delights such as roast meat and noodles will be available. After 6pm, it is switched to offering izakaya style yakitori treats. Very soon, Hive bakery and ice cream bar will be available to satisfy your sweet tooth too.